When guests visit your hotel or guest house they want to feel safe and secure. The same goes for the staff who you employ to work in your establishment; in addition to your peace of mind as the manager or owner. Everyone expects both themselves and their assets to be protected at all costs, and that is when a trusty Hotel Insurance policy can come in perfectly. Hotels are large builds with the purpose of providing guests with a place to stay, with their own en-suite bathrooms and a designated restaurant area to enjoy breakfast, lunch and dinner. There is usually help on hand with receptionists 24 hours a day, opposed to a smaller establishment like a Bed and Breakfast or Guest House that has considerably fewer rooms and a receptionist may only be available during the busiest times of the day, or when they are expecting an arrival or departure. Hotel Insurance is a policy put in place to simply protect yourself, your staff, your guests and even your reputation, from any risks that you may encounter due to the design and layout of your individual hotel. The level of coverage from your insurance policy will be different depending on these structural factors, therefore, that is why the Hotel Insurance packages we offer here at Todd and Cue are all accommodating to your specific business. This is your legal liability to third parties for any accidental damage to their assets from the business happening anywhere on-site of the hotel. Your legal liability to your employees for any accidental injury or disease, including damages, claimants costs and expenses from the business. 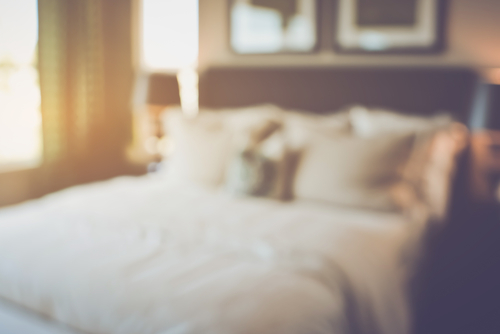 For a hotel, it is crucial to have contents insurance when the hotel consists mainly upon the items inside, to protect yourself against water or fire damage for example. This will protect any loss of money while in transit, on the premises during business hours and/or in any bank night safe. It will cover you up to a certain amount within your particular policy. If your license has been taken away from you out of your control, then dependent on your premium you will insured for most damages occurred to the business. If your business is interrupted by a loss insured under the building or contents sections, this will pay for the loss of accommodation charges and an increase in the cost of working during the indemnity period. Cover for any outstanding debts that are untraceable following any damage covered under the buildings or contents section. If a personal injury was to happen due to a robbery, the customers family will be covered for the damage up to the set price. If you are interested in taking out your Hotel Insurance policy with Todd and Cue then please do not hesitate to get in touch with us on 0191 482 0050, to discuss your specific package that we can tailor to protect your hotel’s needs. We are one of the UK’s leading hotel insurance brokers and would be more than happy to assist you to get the ball rolling and ensure that yourself, your staff and your customers are all safe and happy with your service.